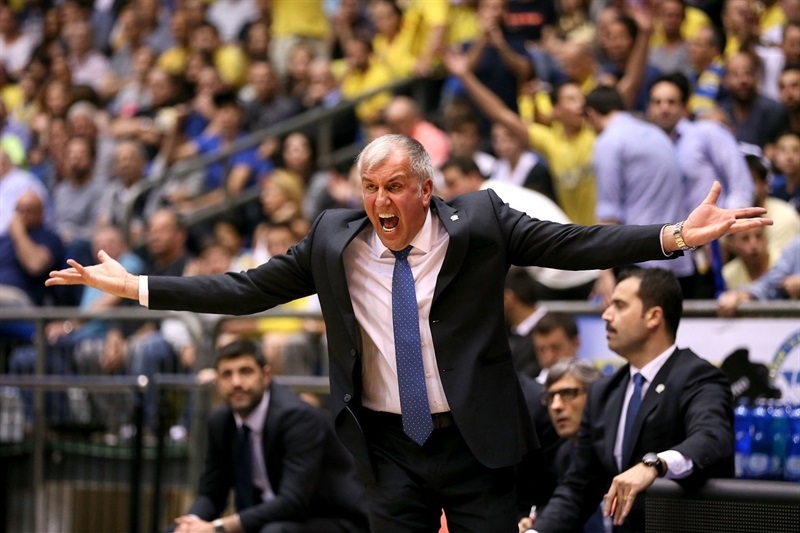 There will be a new Turkish Airlines Euroleague champion after Fenerbahce Ulker edged Maccabi Electra Tel Aviv 74-75 on Monday night at Menora Mivtachim Arena to sweep their best-of-five series and clinch a ticket to Madrid for the 2015 Final Four. 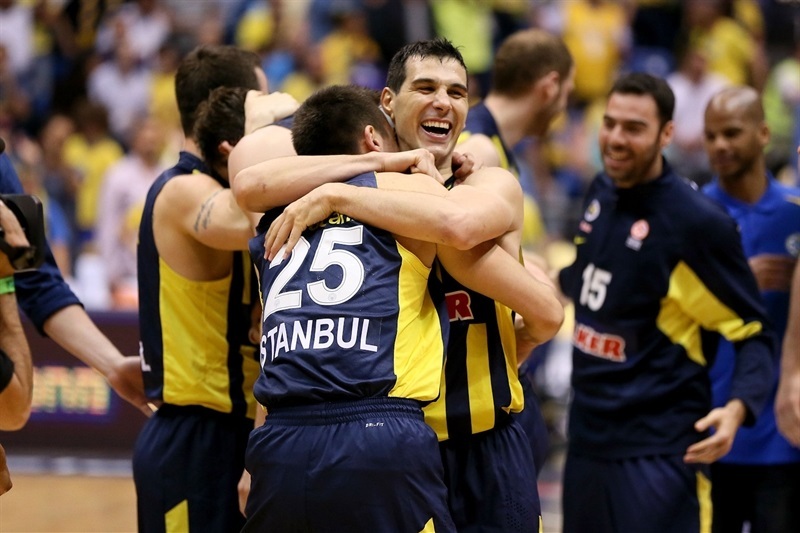 Fenerbahce celebrated its first ever Final Four appearance. The outgoing champs put up a valiant effort and had chances to win the game at the end of regulation and overtime, but Jeremy Pargo missed both times. Nikos Zisis scored a season-high 19 points and dished 5 assists for the winners, while Andrew Goudelock added 15, including the game-winning layup with less than 10 seconds to go in overtime. 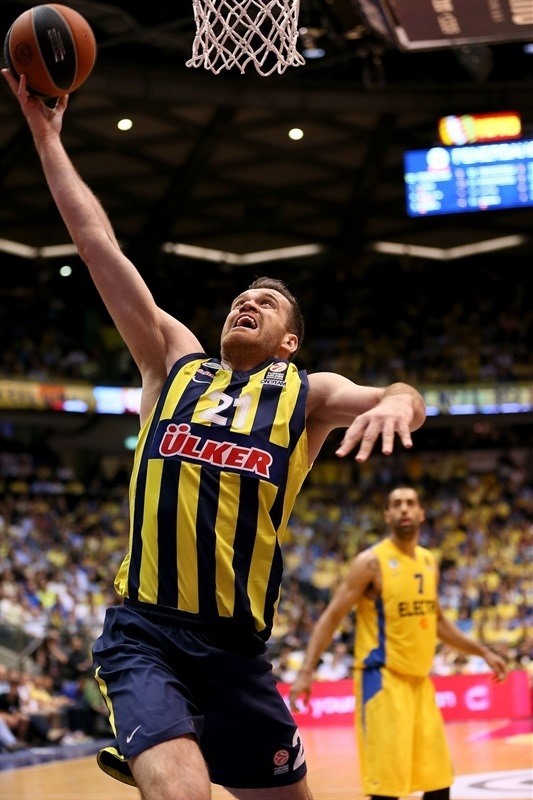 Jan Vesely added 12 points and 8 rebounds for Fenerbahce. 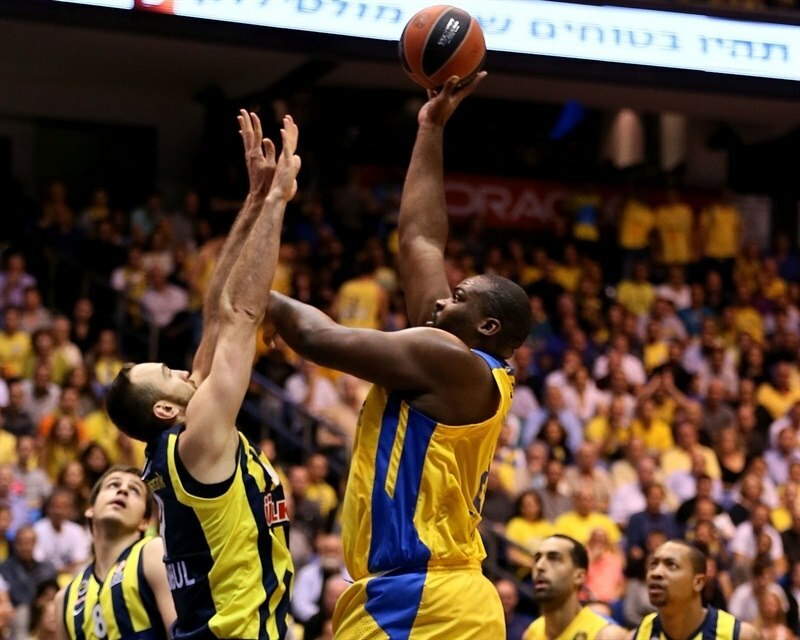 Pargo totaled 21 points and Brian Randle had 19 points and 10 rebounds for Maccabi. Yogev Ohayon got to the basket for the game’s first points. Sofoklis Schortsanitis added a baby hook before Bogdan Bogdanovic and Pargo traded threes. 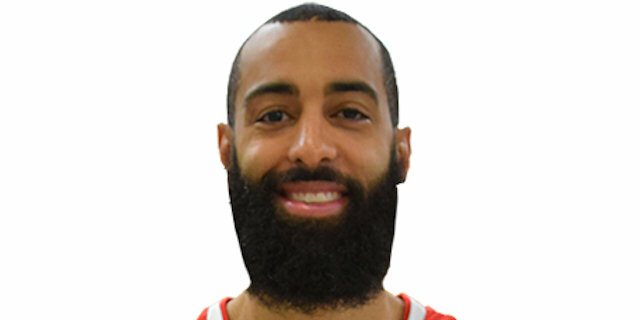 Goudelock found Semih Erden for a reverse slam to make it 7-5. Nemanja Bjelica took an early seat on the bench with 2 fouls. Randle attacked substitute Vesely for a layup and then took a feed from Pargo as the trailer in transition and dunked for a 6-point advantage. A minute later, another Randle slam had the arena dancing. Erden scored on a second-chance opportunity before the TV timeout. A Devin Smith triple extended the difference to 17-8. Upon his return, Bjelica rejected Randle and Vesely scored on consecutive possessions. Then a Bjelica floater put the difference to 4, but Nate Linhart’s triple put the hosts up 20-13 after 10 minutes. A pair of Zisis jumpers ate into the Maccabi lead. Big Sofo stepped up for hosts with free throws at one end and a rejection of Bjelica at the other. Back-to-back threes by Zisis and Bjelica capped a 2-11 Fenerbahce run for the visitors’ first lead. The lead switched hands again on a Randle tip-in and a Goudelock triple that made it 24-26 midway through the quarter. Smith drew Bjelica’s third foul and made the resulting free throws. But Zisis’s floater and Oguz Savas tipping in his own miss put Fenerbahce back in control. After the guard split free throws, it was 27-31. Zisis buried another shot and Tyus tipped in Sylven Landesberg’s miss. But after a Fenerbahce timeout, a Goudelock three put the Turkish champs up 5. Emir Preldzic split free throws for a 31-37 Fenerbahce lead at the break. Smith opened the second half with a bucket from downtown. Several misses followed from both sides until Zisis drained a three. Pargo made it 36-40 with 2 free throws. When the TV timeout came, only 8 points had been scored in the quarter. 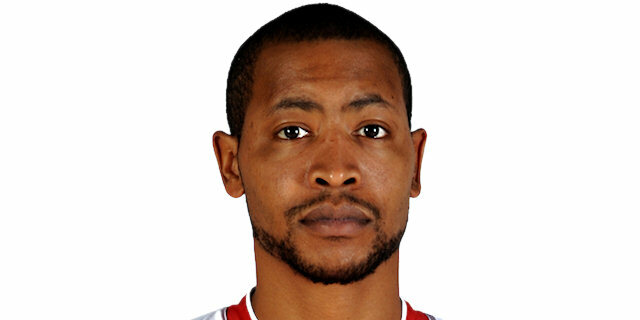 Goudelock was fouled shooting a three and made the 3 resulting free throws. Randle drove for a layup and sent Bjelica back to the bench with 4 fouls. Tyus drew the hosts within 2, but Bogdanovic responded with a three at the other end. 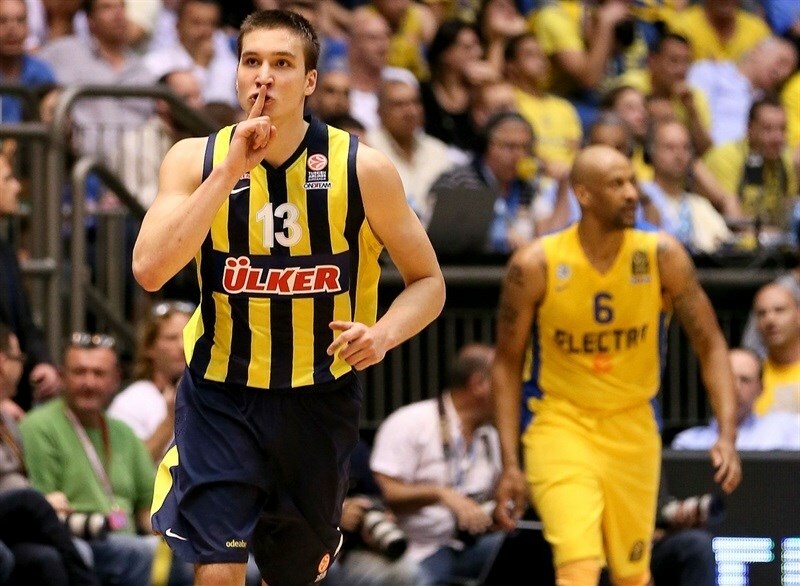 Pargo drove for a reverse layup, but Fener regained control with a Goudelock three and Bogdanovic’s steal and layup. Linhart scored a layup in transition to end the quarter at 45-50. Pargo connected on a step-back three-pointer to bring the arena to life, but Preldzic responded for the visitors. MarQuez Haynes drained a three-pointer and Randle scored inside to make it a 1-point game. Vesely came through with a steal and slam, but Pargo penetrated for a layup at the other end. 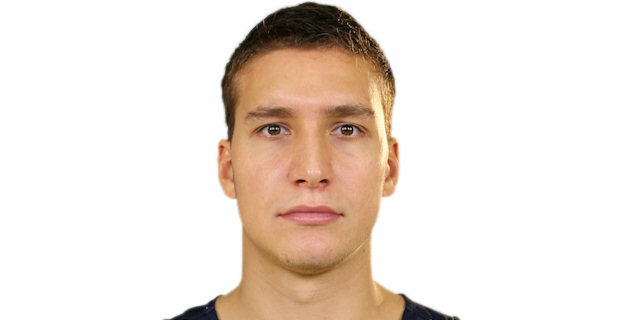 Luka Zoric and Schortsanitis each missed twice from the line to leave the score at 55-56 with five minutes to go. Randle split free throws to tie the game. Erden collected an offensive rebound and dunked, while Randle committed his fourth foul. 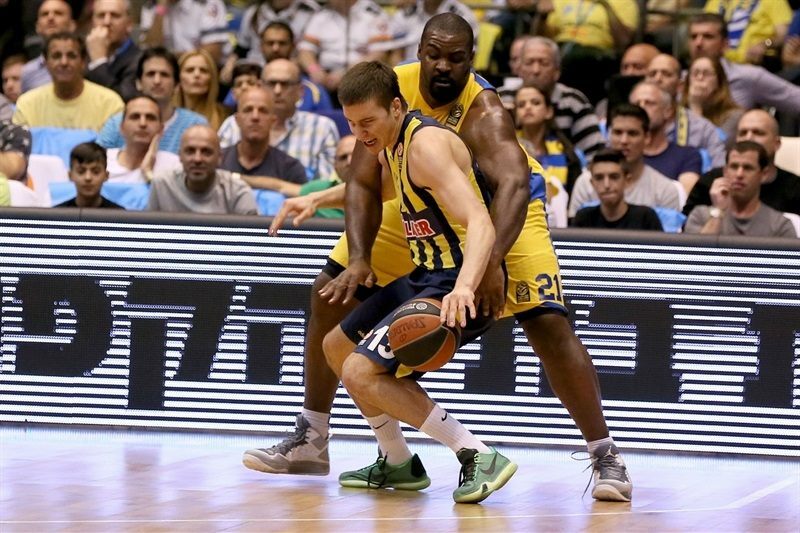 Zisis found Vesely inside for a slam, but Pargo bettered them with a three-point play. 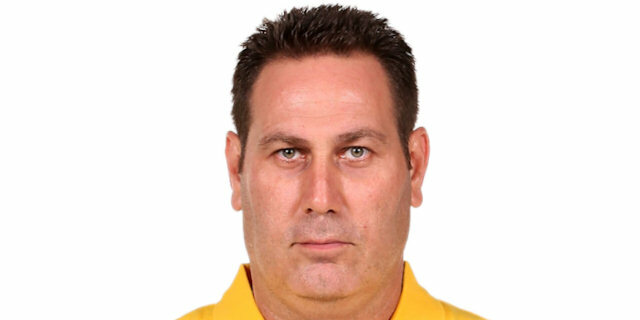 Preldzic made a key catch-and-shoot three at the end of the 24-second clock, but Pargo’s finish in traffic kept Maccabi within 2. With 1:19 remaining, Haynes drove, drew Bjelica’s fifth foul and tied the game at 63-63 with the resulting free throws. 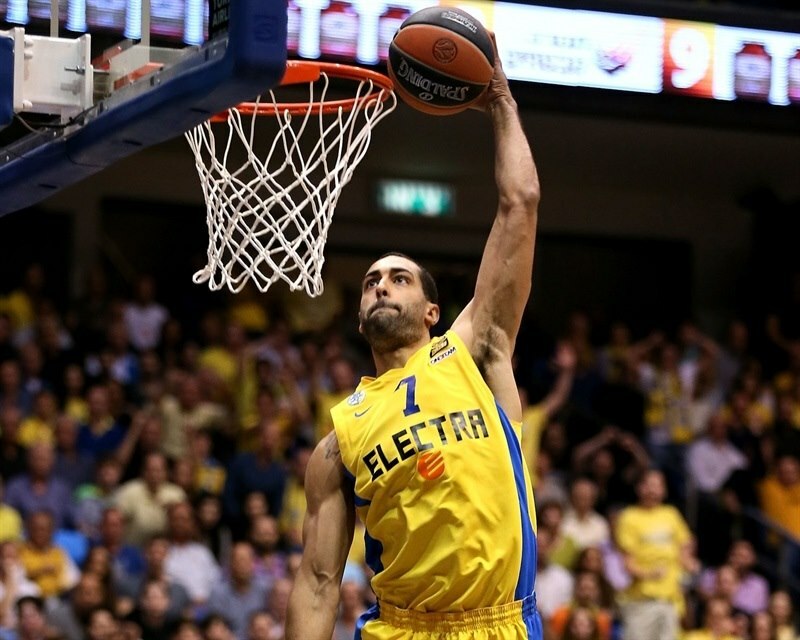 After Goudelock missed twice, Pargo drove and missed a tough layup, but Joe Alexander rose high for a put-back slam and Maccabi’s first lead of the half, 65-63, with 33 seconds left. However Vesely took a pass from Preldzix and stretched for a slam and foul with 9.7 seconds left. He missed the free throw, but Pargo missed at the buzzer, which left the teams tied at the end of regulation time. Zisis buried a triple from the top of the key. Alexander fought for an offensive rebound, drew a foul and sank 2 free throws. Zisis ran the pick-and-roll with Vesely for a slam by the latter. Randle got the line, made the first and missed the second, but chased down the rebound and dunked to tie it at 70-70. Vesely split free throws, but Maccabi had the lead after a long jumper by Pargo, 72-71, with 1:17 left. Goudelock’s jumper put the visitors in front with a minute to play. Randle drew a foul with 15.7 seconds remaining and made 2 shots for a 1-point lead. Fenerbahce called timeout and turned to Goudelock, who drove for a layup with 9.1 seconds showing. Pargo got into the paint, but missed a tough shot and Bogdanovic corralled the rebound to seal the win and a spot in Madrid. “It wasn’t easy for sure. From the beginning – the first game was really tough and also this one. They have amazing fans and we prepared for this game. This is everything you work for all season. I think the key was our energy. We didn’t let our team fall down and let our hearts go. 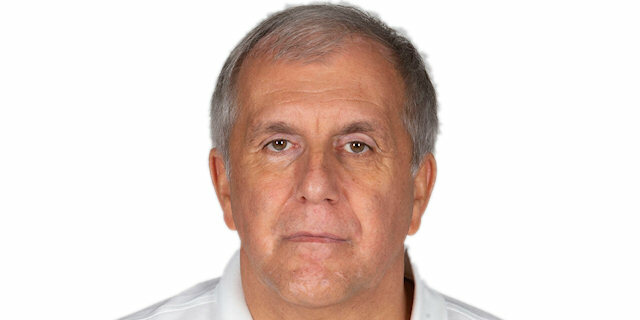 It is a big success to reach the Final Four." "It was a great game. I think both teams could have won this game. It went down to one play. We could have lost it at the end of regulation. Drew made a great play at the end of overtime and we had a stop. I am new to the team; I am only here four months. 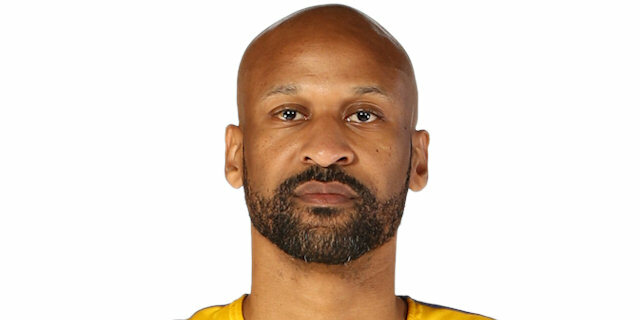 But I understand what it means for Fenerbahce to go to the Final Four. It’s a historic moment. It was for sure a good game for me, but it was all about the team and winning to get to the Final Four. I want to dedicate this to the millions of fans we have back in Turkey. "